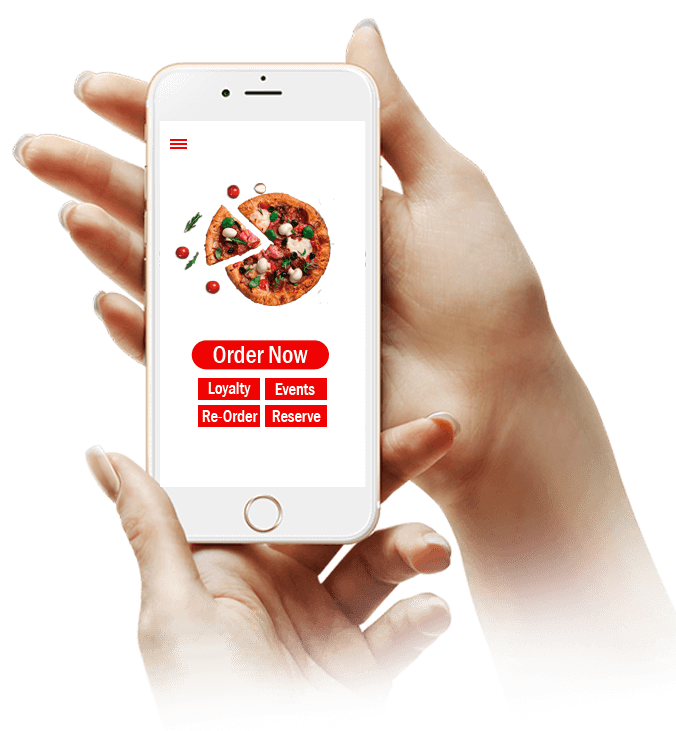 Built for multistore chain restaurants with API and Dashboard for all your online ordering, custom apps, delivery management, loyalty, kiosks and more to provide fulfilling digital experiences to your clients. Your brand on the web, in the app stores, and even on Facebook. Get a custom app or website and start accepting online orders today. Use our tools to manage your drivers to reduce your delivery costs or use 3rd party delivery services. *Includes a free tablet to receive pickup, delivery orders. Let your customers place orders directly from website, Facebook page, and your custom iPhone and andriod apps. * Annual and Two - Year plans paid up-front. * Includes a Free Tablet to Receive, Pickup, Delivery Orders. With the tools that increase occupancy and user engagement. Includes unlimited covers through your website and app. * Annual and Two - Year plans paid up-front. * Includes a free tablet to receive table reservations. * Includes online ordering system. 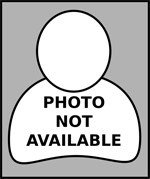 * Advertising in MunchEm site Available Upon Inquiry. 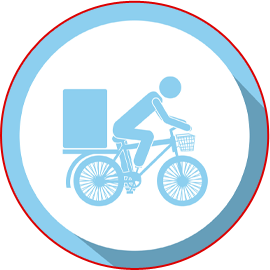 * 3rd Party Delivery Services can Be Utilized. * Sales tax may apply. Brand matters - Make sure your customers can place orders on your site and select a delivery service based on their preference. 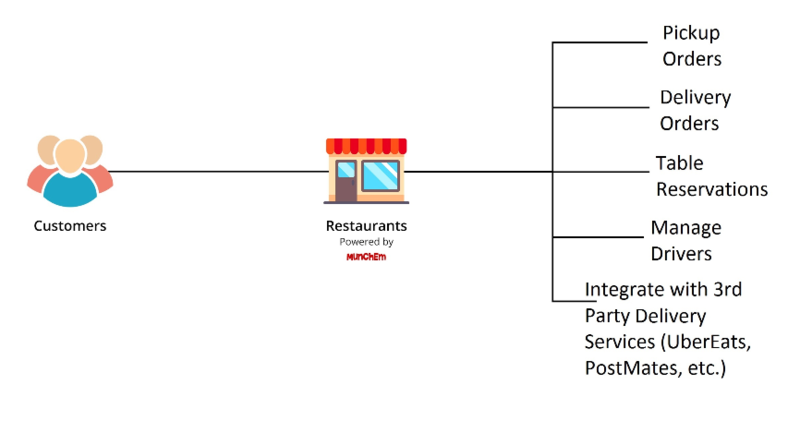 Give ability to your restaurant locations to create ondemand coupons that can be pushed through your mobile app location subscribers. Our system gives ability to create on-demand promotion codes to take advantage of local charities or schools to built relationships. Send all the push notifications and in-app messages you want or Send messages automatically based on events that happen in your app. DeliverEm gives you full control of your deliveries by connecting managers, drivers and customers. 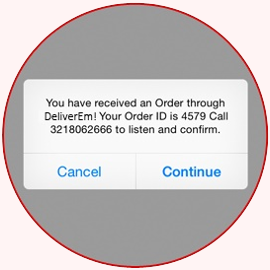 Receive your orders by phone call, fax message, text alert, email, or push notification (OrderEm App). You can review full order details at this stage, including what your customer wants, if it’s for pickup or delivery, and payment status. Press 2 on your phone or select Confirm in the OrderEm app to let your customer know you’ve gotten the order. 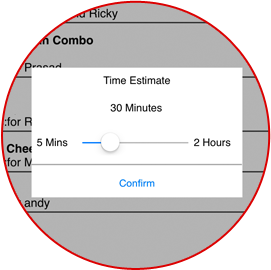 You’ll also be able to adjust the expected completion time so your customers know when you’ll be ready for them. 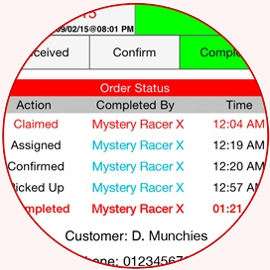 Claim the order or assign it to an available driver. Get everything ready so your driver can be on his way in no time. By removing obstacles (time, traffic, trunk space, etc. ), you’ll make buying much easier for your customers. Mark your order as complete in your OrderEm account. That’s it, you’re done. Easy as pie. Or pasta. Or whatever you sell. Completed orders can be viewed at any time in the OrderEm app or in your OrderEm.com account. 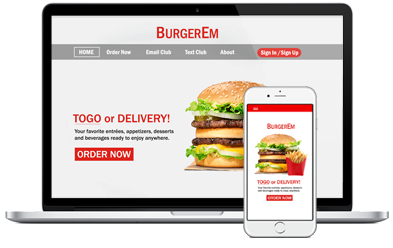 Get a custom app or website and start accepting online orders today.